The monks at St. Benedict's Monastery are installing a 202-kilowatt solar photovoltaic system at their picturesque ranch in Capitol Creek Valley. A grant from CORE helped fund the project. When Pope Francis called for “swift and unified global action” on environmental issues in May 2015, the monks at St. Benedict’s Monastery in Capitol Creek Valley took it to heart. The monks are installing a 202-kilowatt solar photovoltaic system at their picturesque ranch, and the system will offset 100 percent of electricity use at the chapel, retreat center and other buildings. The project is partially financed by a $75,000 grant from the Community Office for Energy Efficiency. Father Josef Boyle, the abbot of the 3,000-plus-acre ranch where the monastery is located, said Wednesday the monks felt morally responsible to heed the pope’s call. It also makes financial sense. The monastery will invest its own funds in the projects, which will pay for itself in energy savings in about 10 years, he said. There are at least three other monasteries of their order that also are installing solar photovoltaic systems, he said. St. Benedict’s Monastery, founded in 1956 by a Trappist community in Massachusetts, is located about 18 miles northwest of Aspen. 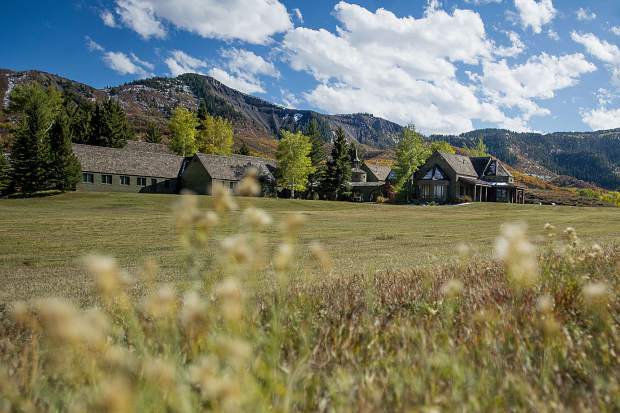 Its pictorial setting in a ranching valley surrounded by high peaks has made its retreat center a popular destination for people seeking quiet contemplation. Father Josef said the solar panels will be installed in a field where they won’t be very visible from the monastery facilities or be disruptive. Site work likely will be pursued this fall along with installation of some of the infrastructure, and then panel installation next year. A photovoltaic system that size will require approximately 750 panels, said Marty Treadway, program director at CORE. The monastery will sell the energy produced to Holy Cross Energy and receive credit on its electricity use. “We’re very grateful” for the grant, Father Josef said. CORE announced Wednesday it awarded $709,080 in grants to 28 local governments, nonprofits and other organizations. “CORE’s investment in the local economy this year is anticipated to offset 2.2 million pounds of CO2 emissions,” the notice said. 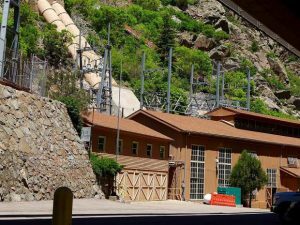 The grants will spark installation of 731 kilowatts of renewable energy in the Roaring Fork Valley, a record for CORE-funded projects. More than $500,000 was awarded in The Randy Udall Energy Pioneer Grants, named after the late founder of many of CORE’s initiatives. 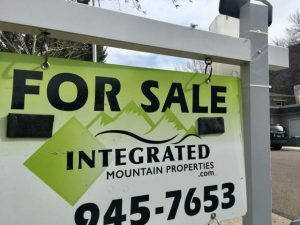 Udall was a highly respected expert on energy issues and helped create a program where homes in Aspen and Pitkin County that exceed an energy budget must pay a mitigation fee or install on-site renewable energy. In a nutshell, the grants program is funded by homeowners who pay fees to consume additional energy for snowmelt systems, outdoor pools and the like. Udall called it a Robin Hood program because the wealthy were paying for a program that benefited the not-so-wealthy. Aspen chief building official Stephen Kanipe and CORE staffer Joani Matranga worked with Udall to create the groundbreaking Renewable Energy Mitigation Program. Aspen Waldorf Foundation: $20,000 for upgrade of three boilers supplying radiant heat and hot water to the school. City of Aspen: $135,000 for a 47-kilowatt solar photovoltaic system, electric-car charging stations and other efficiency features for the new police department. Central Rocky Mountain Permaculture Institute: $50,000 for a variety of energy efficiency upgrades to employee housing and a gravity-fed irrigation system. 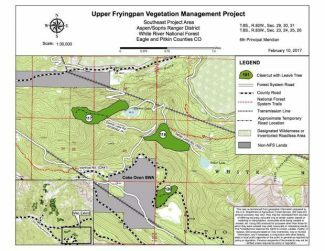 Pitkin County: $75,000 for a 128-kilowatt solar photovoltaic system that will offset 100 percent of electrical use at the landfill. Roaring Fork Conservancy: $50,000 for high-efficiency windows, a boiler and lighting, as well as roof upgrades at its River Center, under construction in Basalt. Roaring Fork School District: $100,000 for a 336-kilowatt solar photovoltaic system to provide 100 percent offset of electrical usage at Riverview School. Town of Snowmass Village: $50,000 for a 18.6-kilowatt solar photovoltaic system, heat recovery ventilation system and other improvements to the public building-Discovery Center at Base Village. In addition to the Pioneer Grants, CORE awarded other grants ranging from $2,100 to $12,000 to 20 organizations. The grants were announced Wednesday evening at a ceremony at the Aspen Historical Society.